Now that Christmas is just 21 days away, I'm sure most of you have started your shopping. If not, then don't worry, neither have I (whoops!). To get things started, I've written up a list that you might find helpful that won't break the bank to find that gift for her. Benefit is a brand that 90% of females love. This gift set is limited edition just this Christmas and is a great treat for that female in your life whether they are your other half, relative or a good friend. The most popular items sold by Benefit are all included in this kit from the Pore-fessional primer to the High Beam highlighter, this kit has the top 7 most love products plus a free makeupper voucher inside! 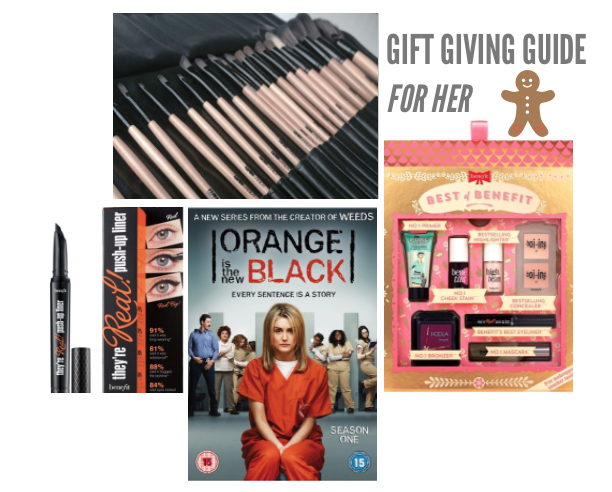 For £24.50, the Best Of Benefit gift set is worth it. OITNB is one of the most talked about series since it was first released on Netflix in 2013. And despite the content of the series, it pulls in people (mostly females) from a range of ages. Whether they have watched it before or not, you can't go wrong with it - it is something that can be re-watched over and over again. You can purchase season 1 of OITNB for £21.99. This brand is great for cheaper eyeshadows and are known to produce great quality products such as, They're Real Push Up Liner. This product makes it easier to get those flicks if you struggle and does not budge throughout the day/night. For £18.50 £16.65 it makes the perfect gift for eyeliner lovers out there. With the arrival of winter, along comes frost, snow and sub temperatures so this winter it is all about wrapping up therefore a blanket scarf is just what's need. There are a huge range of stores that you can purchase them from, such as New Look to Topshop to Zara. It would make a great gift this Christmas. From a range of prices it is down to you on which one you think she will like. I was very lucky to get invited by Glamcandy to go along to one of their 2 hour Glamourise masterclasses (usually £129) with one of the Pro Team artists. 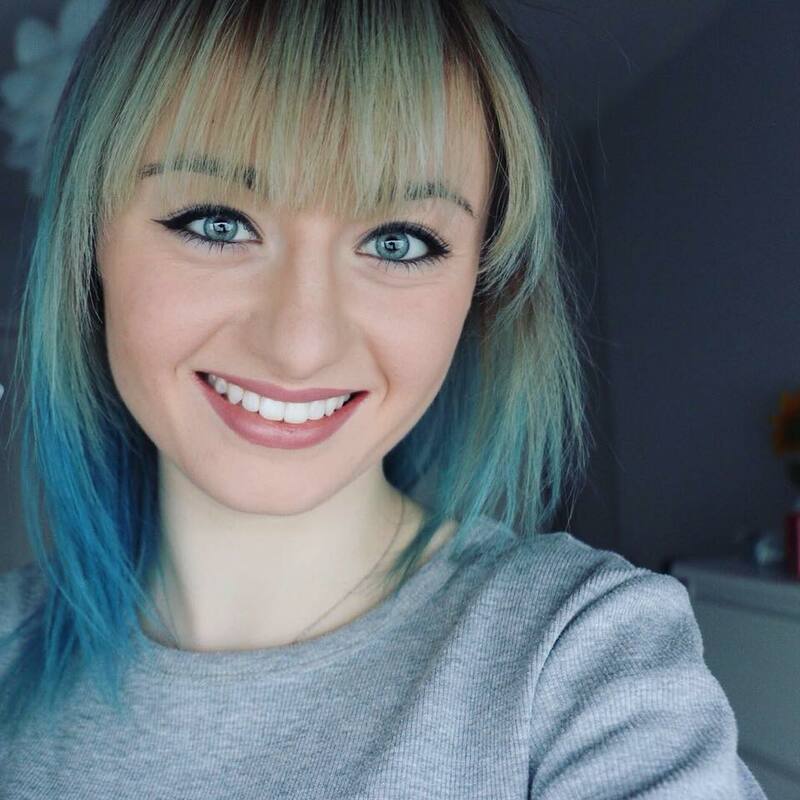 We then got to try and use the techniques and skills we learnt using products from MAC, Bobbi Brown and Sleek to create a perfect smokey eye. We were also gifted a set of Glamcandy brushes to use and take home (worth £75!) alongside a code for our lovely readers so you too can get £50 off! The 24 brushes are of great quality and are perfect for anyone from beginners to experts! Like I said, they are usually £75 but if you type in the coupon code 'ka5thleen' you get them for only £25! 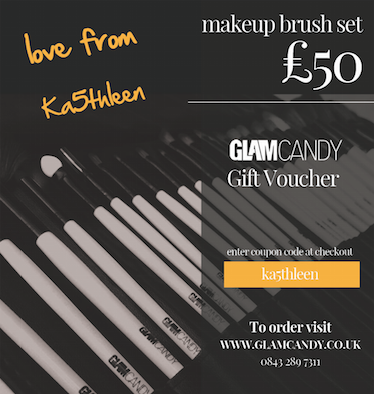 Get the brush set HERE and don't forget the coupon code ka5thleen to get £50 off! Please note that this is only a guide for those who are stuck finding that perfect gift. I will also be doing a gift guide for the guys as well so stay tuned for that. Love your picks! The brush set and chocolates? Perfection! Happy Blogmas!